Equate Scotland has recently launched the next stage of our women returner’s project. 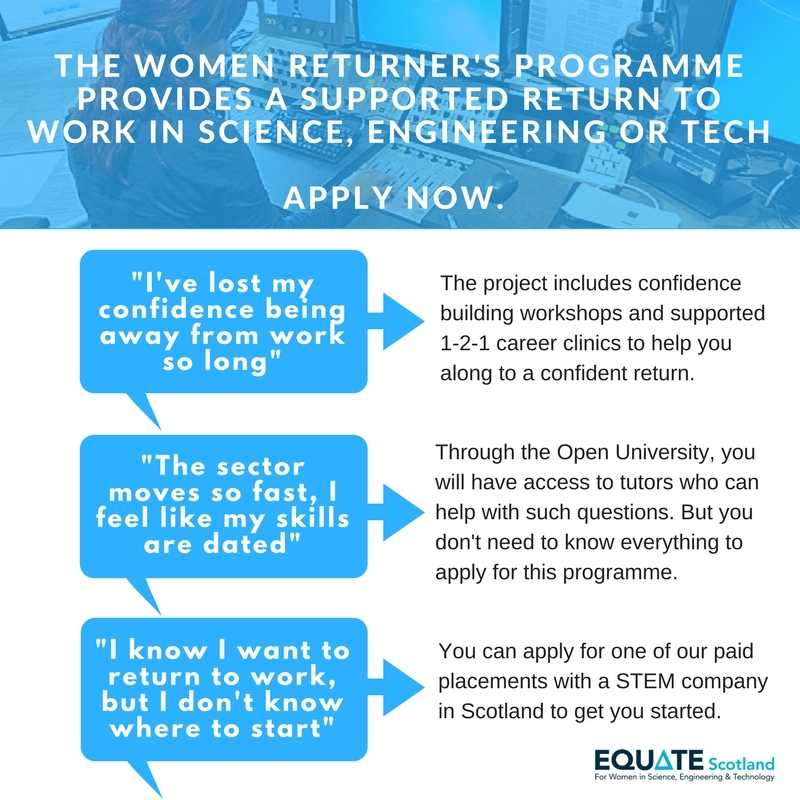 The project is an opportunity for women with STEM qualification who have been out of the sector for more than two years, to have a supported return. We work with employers to provide paid 3 month (or longer) placements for women, whilst providing women with CPD and career clinics to get them ready to get back into the sector.